Today, the Tax Foundation is honoring six individuals with the second annual award for Outstanding Achievement in State Tax Reform. As the award’s name suggests, the honorees were selected due to their extraordinary efforts to advance the cause of simpler, smarter tax policy in the previous year. Many legislators and activists from both sides of the aisle recognized the need for smarter, more principled tax policy in 2014 and we are honored to present these awards in recognition of their efforts and successes. The following individuals are the recipients of the 2014 Outstanding Achievement in State Tax Reform award. 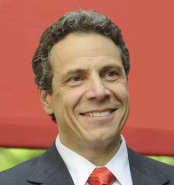 New York Governor Andrew Cuomo (D-NY) in 2014 achieved smarter tax policy through a comprehensive corporate tax reform bill that transformed New York’s treatment of corporate taxes from one of the worst in the country to one of the best. 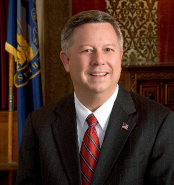 Nebraska Governor Dave Heineman (R-NE) has worked over the last several years to improve Nebraska’s tax climate. Through rate reductions, the repeal of the AMT, NOL reforms, and other successes, Heineman led the charge for substantive reform. 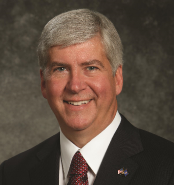 Michigan Governor Rick Snyder (R-MI) in 2014 continued his efforts to improve Michigan’s tax climate by building on previous successes and repealing the MBT and restructuring incentive programs to the repeal of personal property taxes. 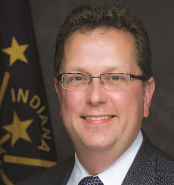 Indiana Senator Brandt Hershman (R-IN) in 2014 worked to expand Indiana’s trend of substantive reforms in recent years. He authored or co-authored the reduction of Indiana’s corporate income tax rate, elimination of the inheritance tax, enactment of property tax caps, lowering of income tax rates and reform the State’s treatment of personal property taxes, which now serves as a model for other states. 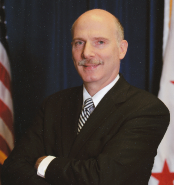 DC Council Chairman Phil Mendelson (D-DC) took the lead on pushing through comprehensive tax reform recommendations from a bipartisan D.C. Tax Revision Commission in 2014. The reforms represent a major improvement of the District’s tax code, balancing competing priorities to improve the simplicity, fairness, neutrality, and economic competitiveness of D.C.’s tax system. 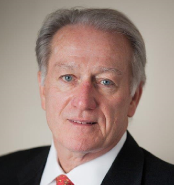 John Simmons of the Rhode Island Public Expenditure Council, which was the voice in Rhode Island making certain that the State’s policymakers and citizens were aware of the state’s tax challenges and the consequent successes in individual and corporate tax systems. Previous winners include Indiana Governor Mike Pence, Michigan Governor Rick Snyder, New Mexico Governor Susana Martinez, North Carolina Senator Phil Berger, Wisconsin Representative Dale Kooyenga, and Ohio activist Ron Alban.